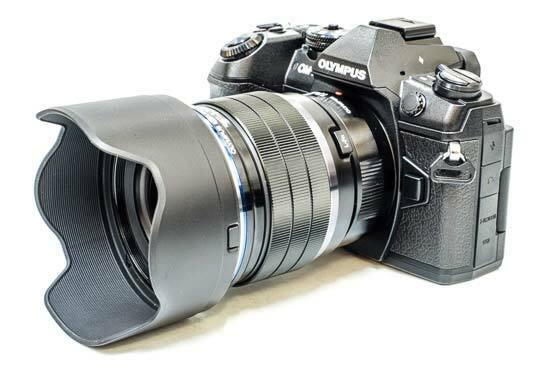 The new Olympus M.ZUIKO Digital ED 17mm f/1.2 PRO lens is a very fast moderate wide-angle prime which provides an equivalent focal length of 35mm in 35mm full-frame terms. 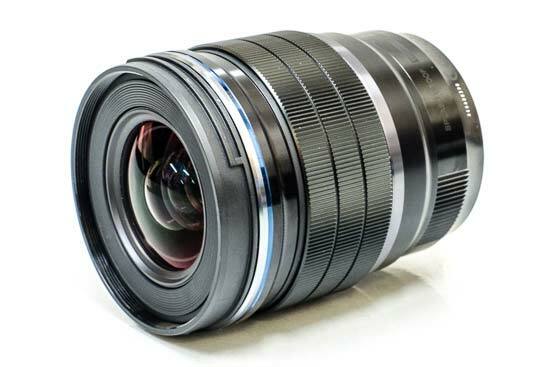 Aimed at keen enthusiasts and professionals, this new lens has a complex construction that is comprised of 15 elements in 11 groups. The autofocus system is designed to be quick and precise, while there are 9 rounded aperture blades for more effective bokeh effects, including something that Olympus refer to as "feathered bokeh" when shooting wide-open at f/1.2. 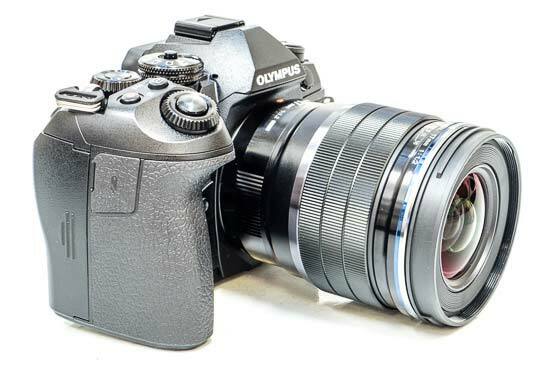 The Olympus M.Zuiko Digital ED 17mm f/1.2 PRO lens is also dustproof, freezeproof and waterproof, making it appealing for those working with similarly weatherproof cameras such as the OM-D E-M1 Mark II. 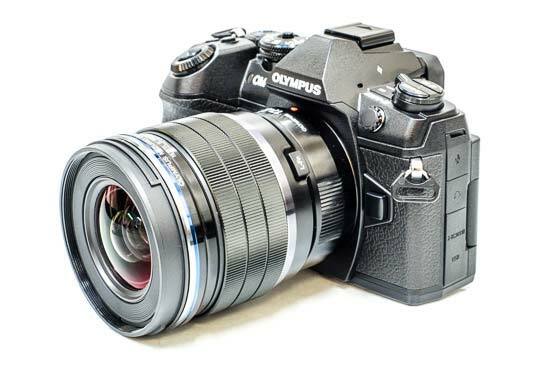 The Olympus M.ZUIKO Digital ED 17mm f/1.2 PRO retails for £1199 / $1199 in the UK and US respectively. 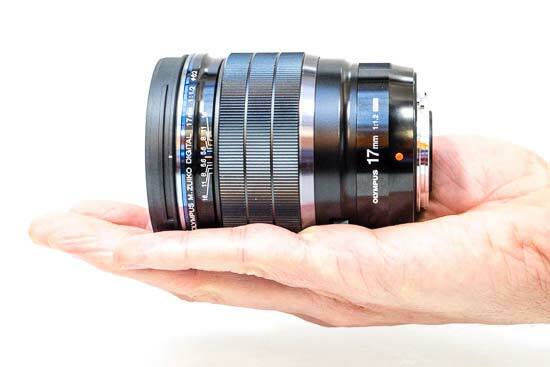 Tipping the scales at 390g and measuring 68.2x87mm, the M.ZUIKO Digital ED 17mm f/1.2 PRO is a relatively small and lightweight lens given the very fast maximum aperture of f/1.2 on offer. 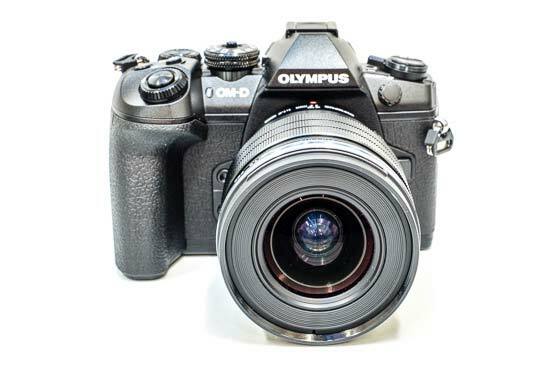 As seen in the product photos, the Olympus 17mm f/1.2 lens balances very nicely on a professional camera body like the OM-D E-M1 Mark II that we used for this review. 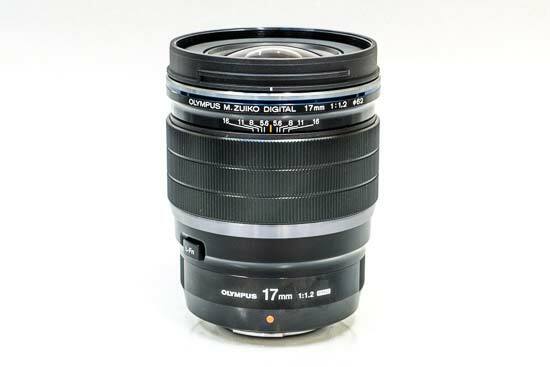 As with the other PRO Olympus lenses that have been released so far, the M.ZUIKO Digital ED 17mm f/1.2 PRO boasts a solid metal construction that oozes quality and class. There is a red dot at the back of the lens to help you line it up with the lens mount on the camera that you’re using. 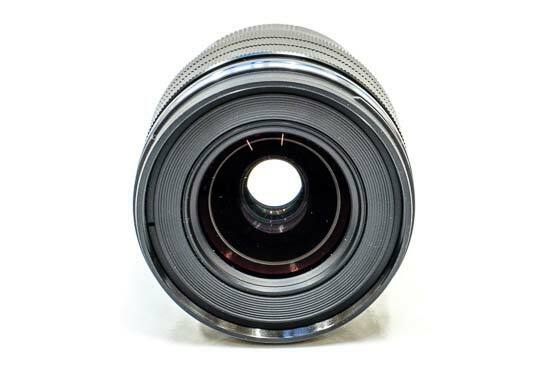 There is a generously sized focusing ring around the lens, which you can use when manually focusing the lens. You can snap back the focusing ring to change from auto focus to manual focus in an extremely quick motion, snapping it back again if you want to switch back to using autofocus. When in the manual focus position, you'll see focal distances compared with the relevant apertures are displayed. 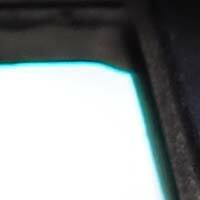 When in autofocus mode, the focusing ring is very loose and doesn’t do anything, but when snapped into the manual focus mode, there’s a lot more resistance, leading to a pleasing and smooth focusing experience. There are hard stops at either end of the range, meaning you can easily set focusing to infinity quickly. For autofocusing, the Olympus M.Zuiko Digital ED 17mm f/1.2 PRO lens is a very quick performer, locking onto the relevant subject almost instantaneously. It also copes well with darker lighting conditions, without too much hunting. 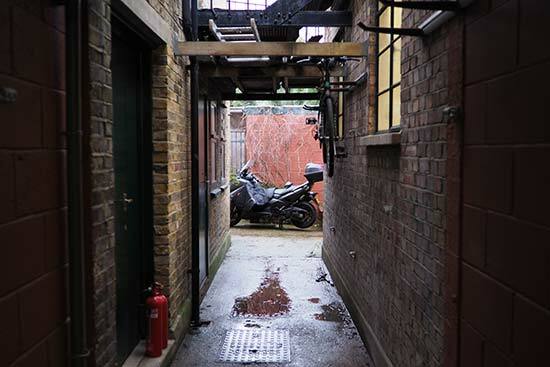 It’s also very quiet in operation, making it good to use with a silent shutter in quiet environments for more candid shots. 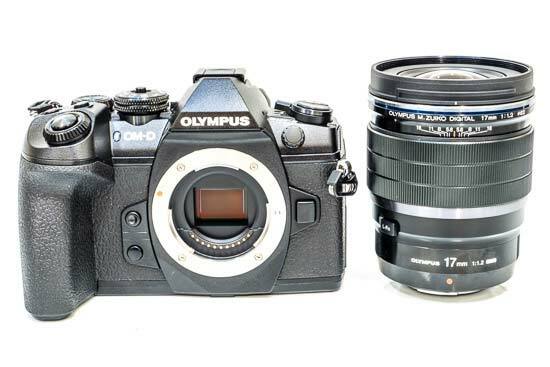 As the Olympus 17mm f/1.2 lens has an internal focusing mechanism, the length of the lens barrel does not change and the filter thread does not rotate on focus, which is good news for those using polariser filters. Just below the focusing ring is a function button, marked L-Fn, which can be customised via the camera's main menu to control a number of different actions. One useful function is depth of field preview - this allows you to see how your image will look at the selected if you hold down the L-Fn button, and is particularly handy when working in narrow apertures. 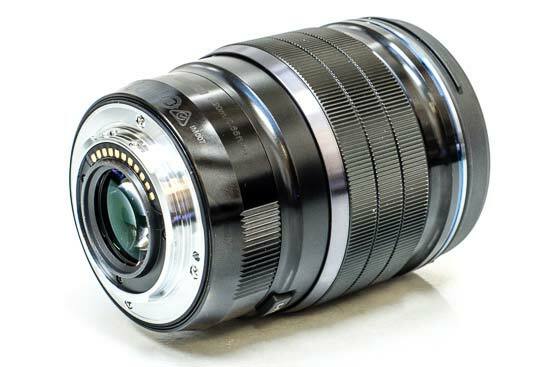 The Olympus 17mm f/1.2 is dustproof, splashproof and freezeproof (down to -10°C). 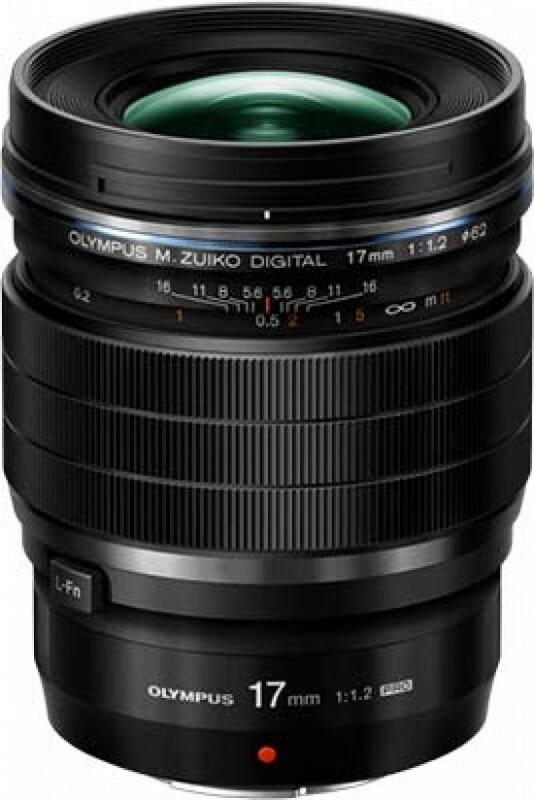 The Olympus M.ZUIKO Digital ED 17mm f/1.2 PRO lens has a 62mm filter diameter. A good quality lens hood is supplied in the box if you’re shooting in bright conditions and want to shield the lens from direct sunlight. 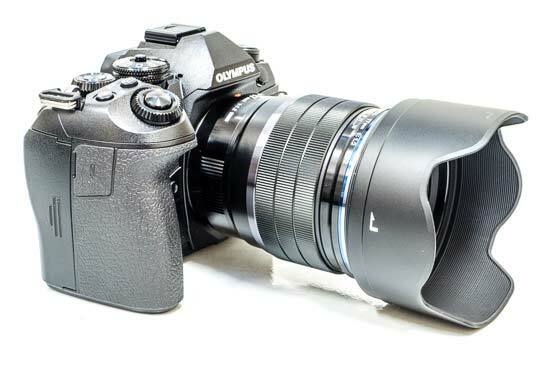 Optical image stabilisation is not built-in to the Olympus M.ZUIKO Digital ED 17mm f/1.2 PRO lens, instead relying on in-camera stabilisation systems. 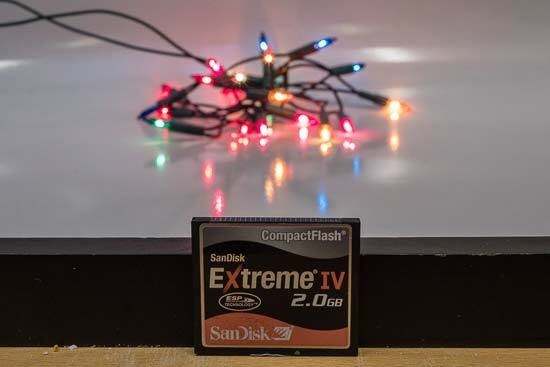 At the 17mm focal length the angle of view is 65 degrees. Lateral chromatic aberrations, typically seen as blue or purple fringes along contrasty edges, are very well controlled with this lens - the examples below show the worst-case scenario you are likely to encounter. When shooting wide open at f/1.2, some obvious light fall-off is visible in the corners, as shown below. The effect is lessened by f/1.4, and again by f/2.0. 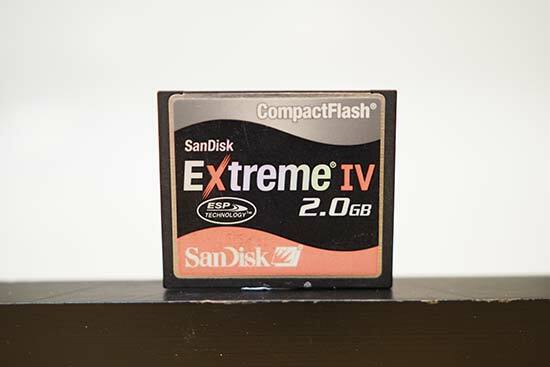 By f/2.8 it’s completely gone in JPEG images, with some slight shading visible in the raw file. You’re far less likely to notice any light fall off, even when shooting at the maximum aperture, when it comes to normal subjects. 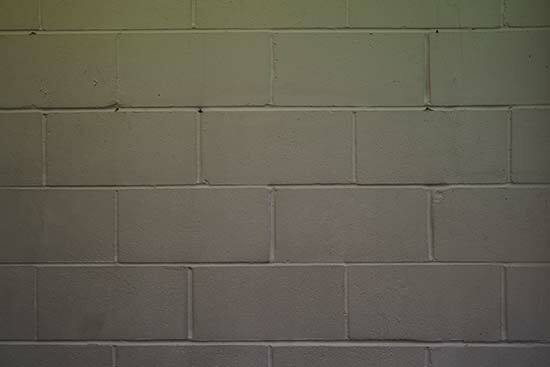 There’s almost no distortion visible in either the RAW files or the JPG files. 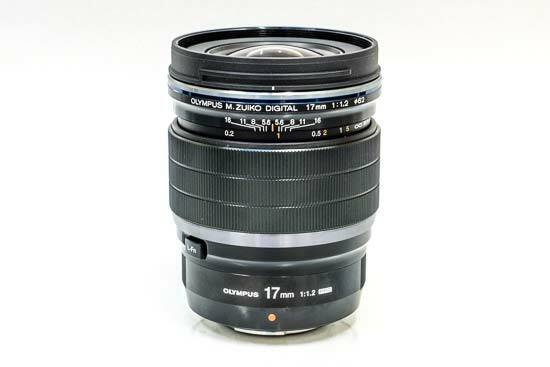 The Olympus M.Zuiko Digital ED 17mm f/1.2 PRO lens offers a minimum focusing distance of 0.2 metres and a maximum image magnification of 0.15x (0.30x in 35mm terms). This means that you can get relatively close to the subject, and thanks to the very wide aperture, it makes for quite a good choice for traditional macro subjects, such as flowers. Bokeh is the term to describe the out-of-focus areas in an image. It can be described in various terms, including smooth, creamy, beautiful, harsh etc. 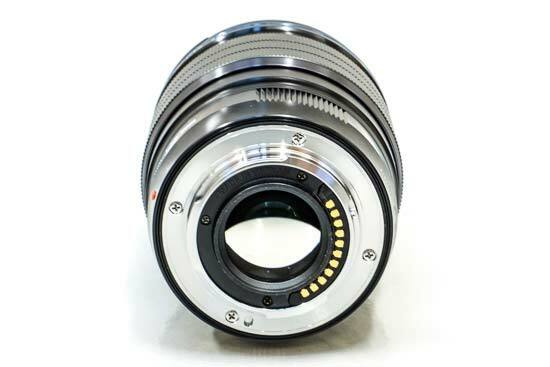 The lens design comprises of 9 circular aperture diaphragm blades which results in a rounded, natural and very pleasing looking bokeh.  Bokeh evaluation can be extremely subjective however, so we’ve included some examples shot at all the various apertures so that you can judge for yourself.